So, I was chided that my last post was not helpful in moving people forward, as I was essentially being derogatory to those who weren’t applying the new understandings. And I’ve previously provided lots of ways to think anew about L&D, such as posts on the topics (both carrot and stick), pointed to readings that are relevant and can help, created a group to discuss the issues, and even written a book trying to point out the ways to move forward, so I’m not apologetic about also trying to point out the gaps (hey, let’s try all levers). However, I’m happy to also weigh in positively as well. The question may be where to start. And of course that will differ. Different organizations will have different starting situations, and contexts, that will mean a different approach will make sense for them. But there are some overall guiding principles that will help. One of the first steps is to move to a performance consulting approach. If you start talking to those who are requesting courses and start digging in deeper into the real problem, you’re likely to start investing in better solutions. This is a relatively straightforward step that is a small change to what you’re doing and yet has the promise of both investing your resources in more relevant ways, and starting to demonstrate real contributions to organizational success. 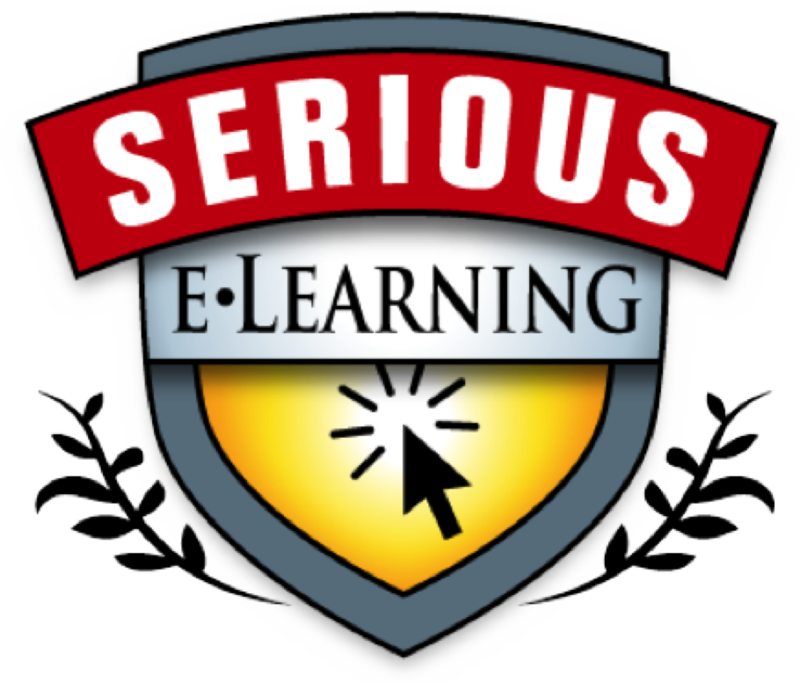 Of course, your elearning should also start being serious. We know what leads to effective learning, and we should be employing that deeper design. The nuances that make better learning aren’t obvious, but the details matter and distinguish between learning that has an impact and learning that doesn’t. Another one is to start thinking about measurement. It’s been said before that “what’s measured, matters”, and this can and should be coupled with the aforementioned approach by looking for measurable improvements that come out of the performance conversation. This naturally means that the scope of operations also moves beyond just courses to performance support, but again that should be a small stretch from what is already being done: extending developing course content to also developing job aid content. One other suggestion is to start looking at the culture picture. While in the long term this should migrate to an organizational level concern, I suggest that it could and should start within the L&D organization. L&D needs to start practicing those elements of valuing diversity and openness, making it safe to share, and experimenting as a precursor to taking it out. The notion of starting small and scaling is a proven approach, and provides a chance to understand and leverage it as a basis for both internal improvement and to take it further. It’s not easy. But it’s doable, and desirable. There’re lots of ways to get help (hint hint), but it’s past time to get started. Let’s get this going, and do it together. So, what barriers do you have and what questions can we assist with? I won’t elaborate on all of these, but I want to make two points. The first is that I could’ve gone on; both in breadth and depth. That is, each of these unpacks with many implications, and there are more ways organizations are not aligned with what’s know about how people work. The second point is that there are known ways to address these problems. Systemic ways to get the combined benefits of more effective output and more engaged people. Not surprisingly, treating people in ways that reflect their inner nature is more rewarding for them as well as more successful for the organization. I’ve argued in the past that we should treat learning design seriously, with the depth of rocket science applied as a learning engineering. Similarly, we should be basing our organizational learning designs – our strategies, processes, and policies – on what’s known about people. That’s not being seen often enough. It’s time for organizational learning to move into the information age, and start performing like professionals. The action is at the coal face, not in the comfort zone. There’s good work to be done, and it’s time to do it. Let’s go! I was talking with a colleague at an event one of the past weeks, and I noted down the concept of ambiguity denial syndrome. And I’m retrospectively making up what we were talking about, but it’s an interesting idea to me. So one of the ways I start out a talk (including later today for a government agency) is to talk about chaos. 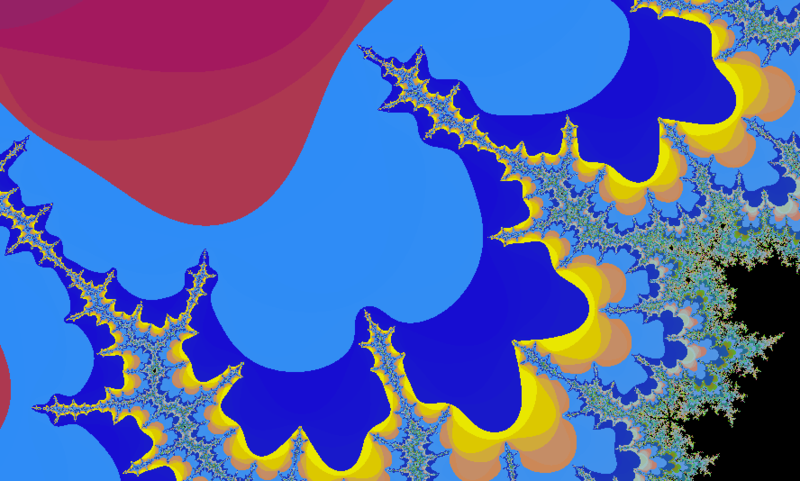 I use a fractal, and talk about the properties a fractal has. You know, that it’s a mathematical formulation that paints an image from which patterns emerge, yet at any point you really don’t know where it’s going to go next. I use this to explain how our old beliefs in an ability to plan, prepare, and execute were somewhat misguided. What we did was explain away the few times it didn’t work. But as things move faster, the fact that things are not quite as certain as we’d believe means we have to become more agile, because we can less tolerate the mistakes. The point I’m making, that the world increasingly requires an ability to deal with ambiguity and unique situations. And our learning designs, and organization designs, and our cultures, need to recognize this. And yet, in so many ways, they don’t. At the individual level, we’re not equipping folks with the right tools. We should be providing them with models to use to interpret and adapt to situations (explain and predict). 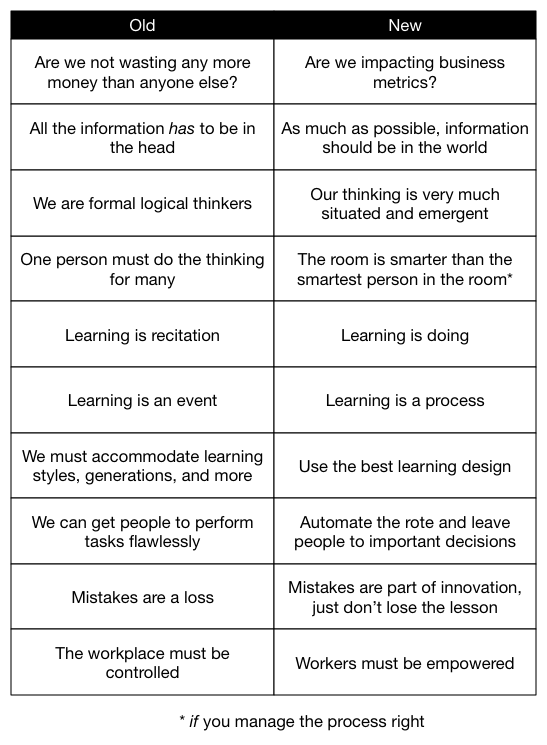 Our learning designs should have them dealing with a wide variety and degrees of certainty in situations. And we should be testing and refining them, recognizing that learners aren’t as predictable as concrete or steel. Instead we see one-shot development of information dumps and knowledge tests, which aren’t going to help organizations. At the interpersonal level, we should be facilitating people to engage productively, facilitating the development of viable processes for working and learning together. We know that the room is smarter than the smartest person in the room (if we manage the process right), and that we’ll get the best results when we empower people and support their success. We need them working out loud, communicating and collaborating, to get the best. Instead, we still see top-down hierarchies and solo work. In short, we see people denying the increasing complexity that the world is showing us. Implicitly or explicitly, it’s clear that many folks believe that they can, and must, control things, instead of looking to adapt on the fly. We have new organizational models for this, and yet we’re not even seeing the exploration yet. I acknowledge that change is hard, and navigating it successfully is a challenge. But we have lots of guidance here too. Too many processes I see reflect industrial age thinking, and we’re in an information age. We have greater capacity amongst our people, and greater challenges to address, with less tolerance for mistakes. We need to address, even embrace ambiguity, if we are to thrive. Because we can, and we should. It’s the only sensible way to move forward in this increasingly complex world. So, are you ready? 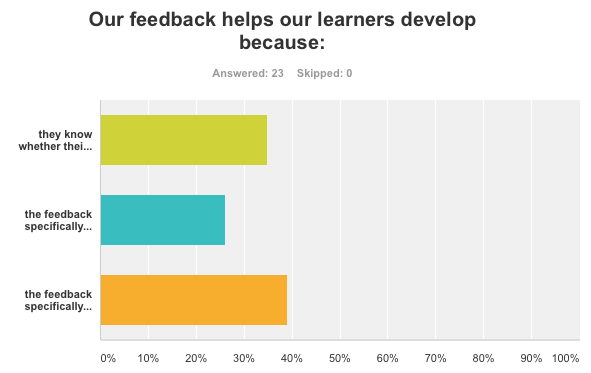 So, a few weeks ago I ran a survey asking about elearning processes*, and it’s time to look at the results (I’ve closed it). eLearning process is something I’m suggesting is ripe for change, and I thought it appropriate to see what people thoughts. Some caveats: it’s self-selected, it’s limited (23 respondents), and it’s arguably readers of this blog or the other folks who pointed to it, so it’s a select group. With those caveats, what did we see? 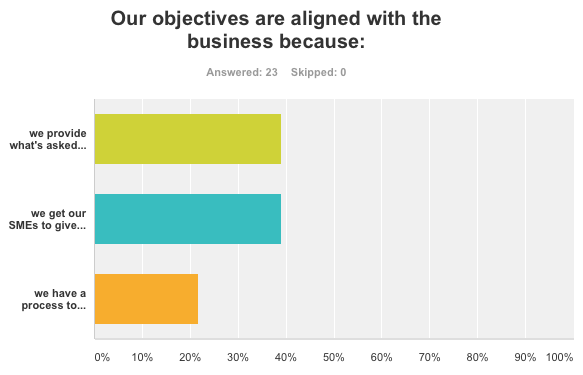 The first question was looking at how we align our efforts with business needs. The alternatives were ‘providing what’s asked for’ (e.g. taking orders), ‘getting from SMEs’, and ‘using a process’. These are clearly in ascending order of appropriateness. Order taking doesn’t allow for seeing if a course is needed and SMEs can’t tell you what they actually do. Creating a process to ensure a course is the best solution (as opposed to a job aid or going to the network), and then getting the real performance needs (by triangulating), is optimal. What we see, however, is that only a bit more than 20% are actually getting this right from the get-go, and almost 80% are failing at one of the two points along the way. 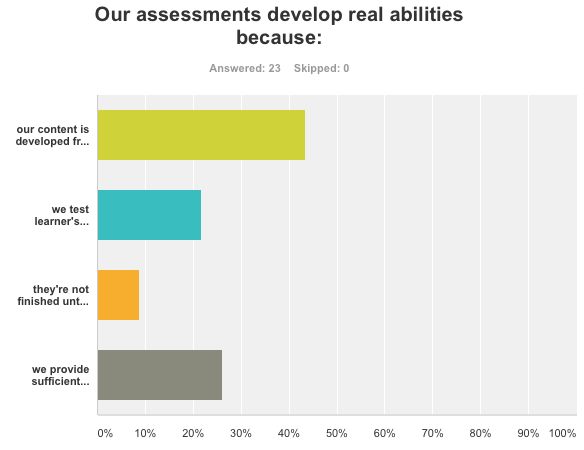 The second question was asking about how the assessments were aligned with the need. The options ranged from ‘developing from good sources’, thru ‘we test knowledge’ and ‘they have to get it right’ to ‘sufficient spaced contextualized practice’, e.g. ’til they can’t get it wrong. The clear need, if we’re bothering to develop learning, is to ensure that they can do it at the end. Doing it ‘until they get it right’ isn’t sufficient to develop a new ability to do. And, we see more than 40% are focusing on using the existing content! Now, the alternatives were not totally orthogonal (e.g. you could have the first response and any of the others), so interpreting this is somewhat problematic. I assumed people would know to choose the lowest option in the list if they could, and I don’t know that (flaw in the survey design). Still it’s pleasing to see that almost 30% are doing sufficient practice, but that’s only a wee bit ahead of those who say they’re just testing knowledge! So it’s still a concern. The third question was looking at the feedback provided. The options included ‘right or wrong’, ‘provides the right answer’, and ‘indication for each wrong answer’. I’ve been railing against one piece of feedback for all the wrong answers for years now, and it’s important. The alternatives to the wrong answer shouldn’t be random, but instead should represent the ways learners typically get it wrong (based upon misconceptions). It’s nice (and I admit somewhat surprising) that almost 40% are actually providing feedback that addresses each wrong answer. That’s a very positive outcome. However, that it’s not even half is still kind of concerning. The fourth question digs into the issue of examples. There are nuances of details about examples, and here I was picking up on a few of these. The options ranged from ‘having’, thru ‘coming from SMEs’ and ‘illustrate the concept and context’, to ‘showing the underlying thinking’. Again, obviously the latter is the best. It turns out that experts don’t typically show the underlying cognition, and yet it’s really valuable for the learning. We see that we are getting the link of concept to context clear, and together with showing thinking we’re nabbing roughly 70% of the examples, so that’s a positive sign. The fifth question asks about concepts. Concepts are (or should be) the models that guide performance in the contexts seen across examples and practice (and the basis for the aforementioned feedback). The alternatives ranged from ‘using good content’ and ‘working with SMEs’ to ‘determining the underlying model’. It’s the latter that is indicated as the basis for making better decisions, going forward. (I suggest that what will helps orgs is not the ability to receive knowledge, but to make better decisions.) And we see over 30% going to those models, but still a high percentage still taking the presentations from the SMEs. Which isn’t totally inappropriate, as they do have access to what they learned. 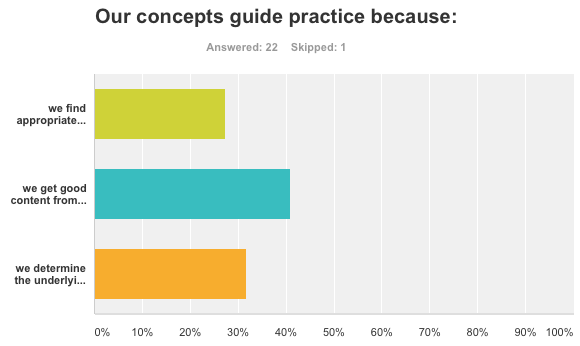 I’m somewhat concerned overall that much of ID seems to talk about practice and ‘content’, lumping intros and concepts and examples and closing all together into the latter (without suitable differentiation), so this was better than expected. The sixth question tapped into the emotional side of learning, engagement. The options were ‘giving learners what they need’, ‘a good look’, ‘gamification’, and ‘tapping into intrinsic motivation’. I’ve been a big proponent of intrinsic motivation (heck, I effectively wrote a book on it ;), and not gamification. I think an appealing visual design, but just ‘giving them what they need’ isn’t sufficient for novices: they need the emotional component too. For practitioners, of course, not so much. I’m pleased that no one talked about gamification (yet the success of companies that sell ‘tart up’ templates suggests that this isn’t the norm). Still, more than a third are going to the intrinsic motivation, which is heartening. There’s a ways to go, but some folks are hearing the message. The last question gets into measurement. We should be evaluating what we do. Ideally, we start from a business metric we need to address and work backward. That’s typically not seen. The questions basically covered the Kirkpatrick model, working from ‘smile sheets’, through’ testing after the learning experience’ and ‘checking changes in workplace behavior’ to ‘tuning until impacting org metrics’. I was pleasantly surprised to see over a third doing the latter, and my results don’t parallel what I’ve seen elsewhere. 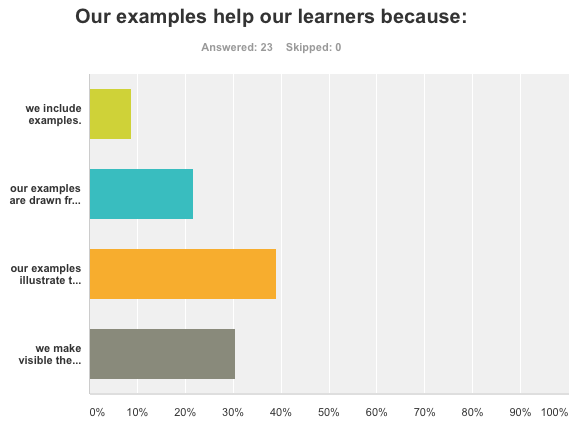 I’m dismayed, of course, that over 20% are still just asking learners, which we know in general isn’t of particular use. This was a set of questions deliberately digging into areas where I think elearning falls down, and (at least with this group of respondents), it’s not good as I’d hope, but not as bad as I feared. Still, I’d suggest there’s room for improvement, given the constraints above about who the likely respondents are. It’s not a representative sample, I’d suspect. Clearly, there are ways to do well, but it’s not trivial. I’m arguing that we can do good elearning without breaking the bank, but it requires an understanding of the inflection points of the design process where small changes can yield important results. And it requires an understanding of the deeper elements to develop the necessary tools and support. I have been working with several organizations to make these improvements, but it’s well past time to get serious about learning, and start having a real impact. So over to you: do you see this as a realistic assessment of where we are? And do you take the overall results as indicating a healthy industry, or an industry that needs to go beyond haphazard approaches and start practicing Learning Engineering? *And, let me say, thanks very much to those respondents who bothered to take the time to respond. It was quick, but still, the effort was completely appreciated. 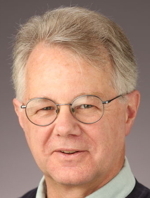 Professor John Black of Columbia Unveristy gave a fascinating talk about how games can leverage “embodied cognition” to achieve deeper learning. The notion is that by physical enaction, you get richer activation, and sponsor deeper learning. It obviously triggered lots of thoughts (mine are the ones in the bubbles :). Lots to ponder. 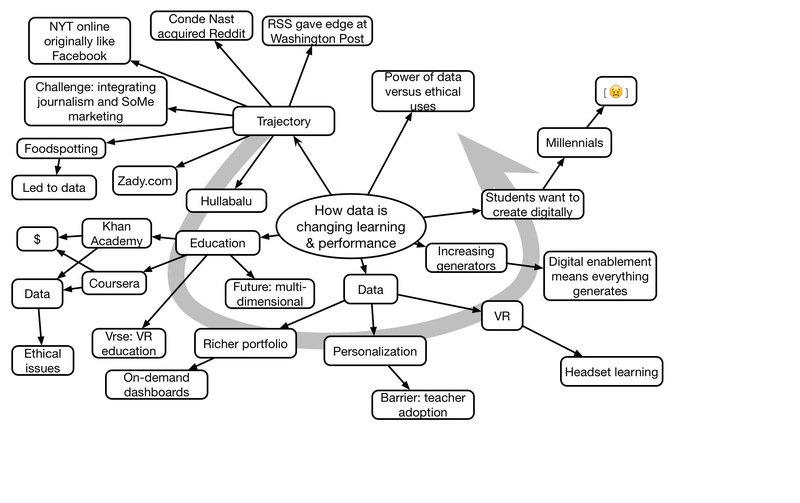 I woke up this morning thinking about the tools we use at various levels. Yeah, my life is exciting ;). Seriously, this is important, as the tools we use and provide through the organization impact the effectiveness with which people can work. And lately, I’ve been hearing the question about “what’s your <x> stack” [x|x=’design’, ‘development’, …]. What this represents is people talking about the tools they use to do their jobs, and I reckon it’s important for us to talk about tools for learning. You can see the results of Jane Hart’s annual survey, but I’m carving it up into a finer granularity, because I think it changes depending on the ‘level’ at which you’re working, ala the Coherent Organization. So, of course, I created a diagram. 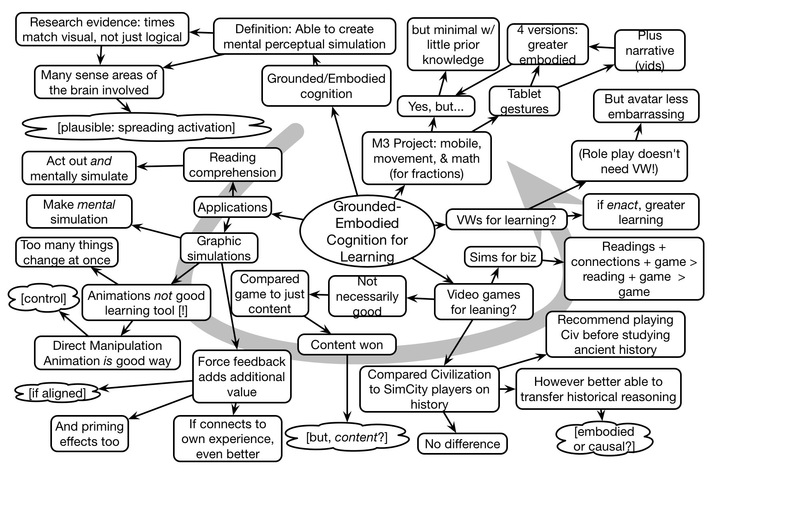 What we’re talking about here, starting at the bottom, are the tools you personally use for learning. Or, of course, the ones others use in your org. So this is how you represent your own understandings, and manipulate information, for your own purposes. For many people in organizations, this is likely to include the MS Office Suite, e.g. Word, PowerPoint, and Excel. Maybe OneNote? For me, it’s Word for writing, OmniGraffle for diagramming (as this one was created in), WordPress for this blog (my thinking out loud; it is for me, at least in the first instance), and a suite of note taking software (depending on type of notes) and personal productivity. From there, we talk about team tools. These are to manage communication and information sharing between teams. This can be email, but increasingly we’re seeing dedicated shared tools being supported, like Slack, that support creating groups, and archive discussions and files. Collaborative documents are a really valuable tool here so you’re not sending around email (though I’m doing that with one team right now, but it’s only back forth, not coordinating between multiple people, at least on my end!). Instead, I coordinate with one group with Slack, a couple others with Skype and email, and am using Google Docs and email with another. From there we move up to the community level. Here the need is to develop, refine, and share best principles. So the need is for tools that support shared representations. Communities are large, so we need to start having subgroups, and profiles become important. The organization’s ESN may support this, though (and probably unfortunately) many business units have their own tools. And we should be connecting with colleagues in other organizations, so we might be using society-provided platforms or leverage LinkedIn groups. There’s also probably a need to save community-specific resources like documents and job aids, so there may be a portal function as well. Certainly ongoing discussions are supported. Personally, without my own org, I tap into external communities using tools like LinkedIn groups (there’s one for the L&D Revolution, BTW! ), and Facebook (mostly friends, but some from our own field). Finally, we get to the org level. 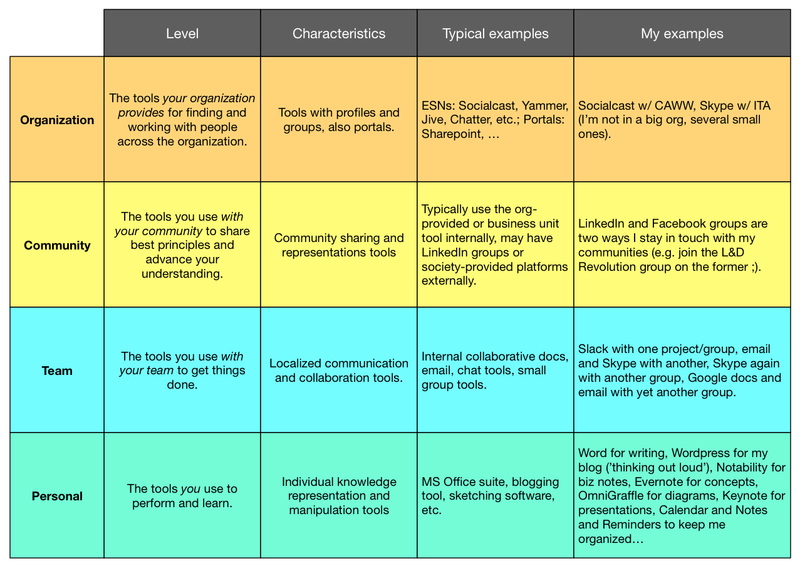 Here we (should) see organization wide Enterprise Social Networks like Jive and Yammer, etc. Also enterprise wide portal tools like Sharepoint. Personally, I work with colleagues using Socialcast in one instance, and Skype with another (tho’ Skype really isn’t a full solution). 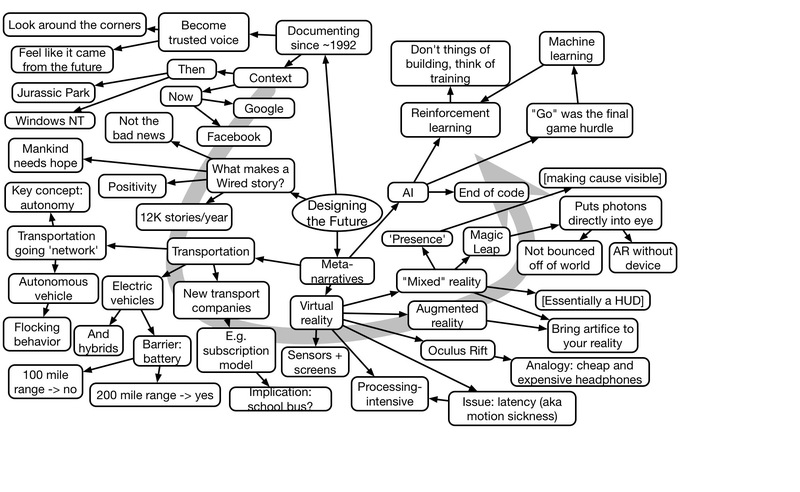 So, this is a preliminary cut to show my thinking at inception. What have I forgotten? What’s your learning stack? Soraya Dorabi opened the second day of the FocusOn Learning conference with a presentation on how data is changing learning and performance. Hampered by technology hiccups, Soraya talked about the ways in which all digital platforms generate data and how that data could be leveraged to support personalized education. She also raised the issue of the ethical entailments. Scott Dadich, editor-in-chief at Wired, opened the eLearning Guild’s FocusOn Learning conference with a keynote on Designing the Future. He presented three meta-narratives – stories that emerge and transcend an individual article – that he said define the future. Transportation is being fundamentally being transformed by applying network thinking. Virtual reality is growing, but the disappearance of the ‘device’ can transform our experience of presence. And machine learning means we may not comprehend the intelligent behavior that emerges. Interesting stuff! At least, that is, with me. Frankly, I wonder if you even bothered to read this after a title like that! Or at least are highly suspicious at this point. It (should) be just the type of thing you would not expect from me. And there’s a reason for that. There are 3 egregious social media things you shouldn’t do, and the title is related to one of them. As context, because of this blog, I get occasional emails offering to write guest posts for me. Now, these aren’t really learning folks, these are marketing folks who would want to put in links to their site. This used to happen a lot, so much so I even wrote a post about it. And I point people to it when they get it (for a number of certain types of requests I’ve made up canned responses I just cut and paste). I’m more susceptible to people who actually do inquire what it would take to place an ad, but so far I haven’t gone there (I once asked and folks seemed to prefer it without). Along with this, there are always people who want to show me their product (because it’s in my space) and give them my feedback. That is, they want me to give them my years of expertise for free. On top of that, they need enough of my time to present their product first. My response is always “I talk ideas for free, I help someone personally for drinks/dinner*, but if someone’s making a quid, I get a cut”. The point being, I’m not giving my free time and expert opinion (hey, that’s how I feed the family). I’ll offer them my services, and a time or two that’s actually happened. But mostly they plead poverty and move on. There’re more, I’m sure, but these seem to be the most frequent. It’s really bad social media behavior. If you want something, tell me what it is, and make the value proposition clear. And let’s be clear: there are offers I do take up, but these are clear about what is required as well as the benefit is to me as well as to them, and I can make a conscious evaluation. So please, feel free to hire me, but don’t expect me to work for free. Fair enough? In the interests of understanding where the market is, I’m looking to benchmark where organizations are. Sure, there are other data points, but I have my own questions I would like to get answered. So I’ve created a quick survey of seven questions (thanks, SurveyMonkey) I’d love for you to fill out. My interest is in finding out about the processes used in designing and delivering elearning. While I’ve my own impressions, I thought it would be nice to bolster it with data. So here we are. And I’m not asking what org you’re working for, because I’d appreciate honest answers. Please feel free to respond and circulate to those you know in other organizations (but try to only have one person from your org fill it out). This is an experiment (hey, that’s what innovation is all about ;), so we’ll see how it goes. I’ll report out what happens when responses start petering out (or when I hit my 100 response cap ;). I welcome your comments or questions as well. Thanks!